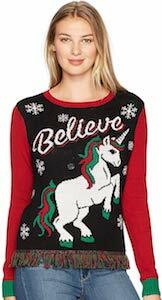 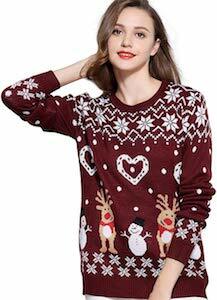 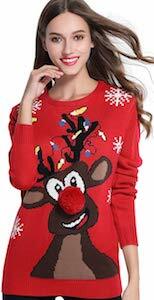 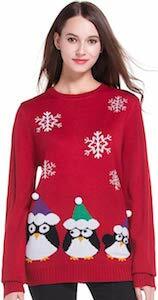 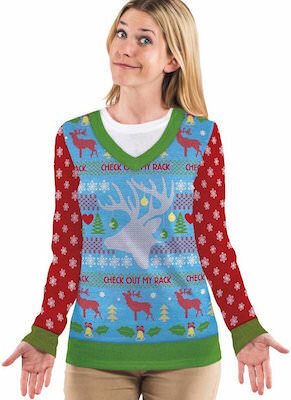 Get ready for the holiday party by dressing up in this Women’s Reindeer and Snowmen Christmas Sweater. 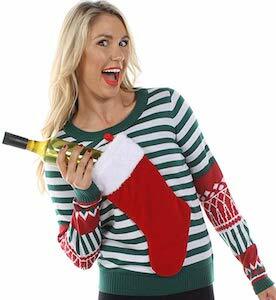 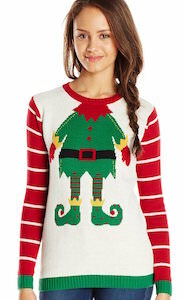 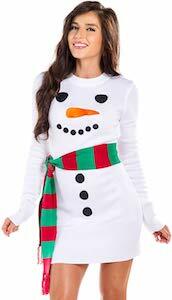 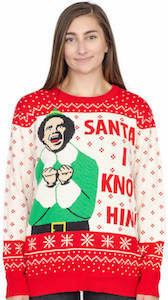 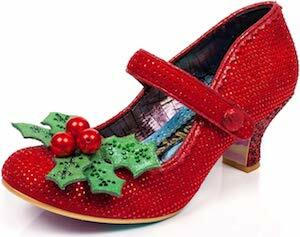 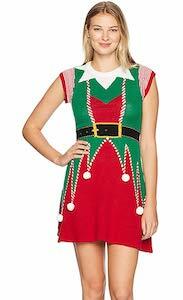 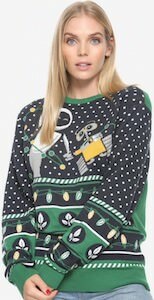 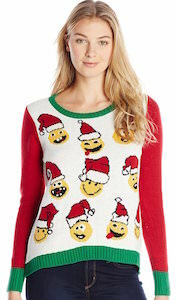 This could be seen as a ugly Christmas sweater but I think it is cute and will look great on most of us. 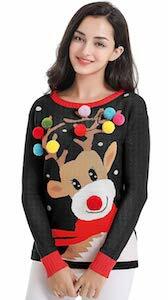 The dark read Christmas sweater has some white decorations that make them look festive and there are some white hearts on it too and a row with reindeer and snowmen because they just belong to the holiday season. 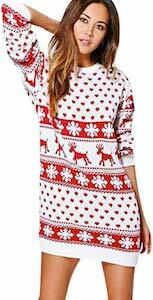 You can get this Christmas sweater in women’s sizes XSmall – XL and they are made from 100% acrylic to make it looks like an amazing sweater.